Originally intended only for the Chinese market, the bigger, larger and faster - Huawei Mate 20 X is about to make a surprising appearance in the UAE. Dubai, UAE, January 06, 2019: Entertainment and media industries are growing around the world to cater to content-on-demand as consumers spend more than 50 per cent of their data engaging with digital games and video . In the UAE, internet access is smartphone-centric, with more than 93 per cent of users using more of their smartphones than or at least as much of their smartphone as a desktop to access the internet. Furthermore, nearly 60 per cent of UAE smartphone users watch online videos on their devices daily, including nearly 50 per cent watching movies via their smartphones. Also, more than 80 per cent of the UAE's smartphone users identify as “mobile gamers” including 86 per cent of users between 16- and 36-years. The demand for a bigger, better smartphone has never been greater. Video content has become ubiquitous and available at the tap of an icon. Online video subscriptions to OTT media services – and traditional media players – are expected to double by 2022, by which time they are likely to approach the one billion milestone. Size, therefore, does matter, when it comes to the all-important decision of the right smartphone. For the ultimate viewing experience and for the most fulfilling gaming session, the screen can make all the difference. The UAE is currently ranked 41st worldwide amongst the world's top 100 gaming markets based on their revenue estimates as of October 2018, with a total revenue of US$226 million. For screens, the added benefits of a display with a smart brightness management solution that automatically optimizes screen brightness for different scenarios is valued as an asset by smartphone users. Furthermore, an optimum smartphone viewing or gaming experience requires a super sound system that ideally has dual stereo speakers. Superior speakers combined with HDR game mode and 5.1-surround support can offer a truly immersive and experience. When it comes to binge watching and gaming with the latest games, users are always on the lookout for the best performance from their smartphones - even with all graphical settings tuned to max. More importantly, for high performance activity, smartphones need to factor in cooling technology, which allow the CPU and GPU to perform in top form for a longer period of time. Cooling is essential to keeping a device at optimal performance. Recognizing the demands from this growing and important demographic, Huawei is about to make a surprising launch of larger, bigger and faster HUAWEI Mate 20 X in the UAE this January. 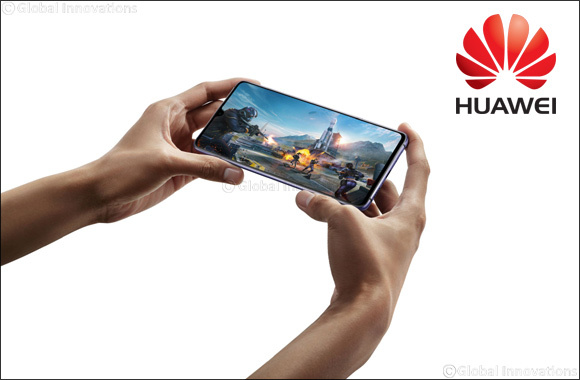 HUAWEI Mate 20 X is a maxed up device from Mate 20 series that combines larger 7.2” screen, the super capable Leica tripe camera from the Mate 20 Pro plus a bigger 5,000 mAh battery to whet the appetite of the UAE's digital entertainment and gaming community.